As much as we were looking forward to finding a venue to tie the knot, I believe we were looking forward to our honeymoon more. You really cannot blame us when you see where we spent our honeymoon. We kind of shot ourselves in the foot with this resort because we knew instantly we would either never have a vacation as good as this one or we would never be able to book anything less than perfect ever again. I first heard of Jade Mountain years ago, before Adam, so before 2013. I was visiting my grandparents and I was going through one of their Travel + Leisure magazines as I came across Jade Mountain. Jade Mountain was featured as one of the best resorts in the world I thought to myself, “wow, I wish I could stay here, but probably only in my dreams”. And that is all it was, a daydream, until it came down to booking my honeymoon. When we narrowed down where we wanted to go, we based it on what we wanted out of our honeymoon. We wanted seclusion, direct access to the beach, all-inclusive, activities and we did not want to get hit with hurricane season. So we looked for Caribbean Island options that followed our desires and found St. Lucia. Since this was our dream honeymoon and are both in the hospitality industry we wanted to be spoiled. We wanted people to take care of us the way we take care of others for 8-12 hours, five days a week. So, what did we do? We searched, “best resort in St. Lucia” and without a doubt, Jade Mountain was listed as the best in several different articles. In fact, in 2015, Jade Mountain was listed as Travel + Leisure magazine’s World’s Best Awards for Top 100 Hotels in the World and Number One in the entire Caribbean for the fourth time and 3rd consecutive time in a row!!! The young Christina in me thought, “Oh my gosh, it’s my dream vacation destination!” After we saw Jade Mountain we did not want to bother looking at any other resort. We believed we earned and deserved to stay at Jade Mountain and so we made it happen! We stayed at Jade Mountain because not only was it the best resort, but it was also the best valued resort. We have seen a lot of video promotion for Jade Mountain on social media and a lot of the responses are that it costs too much for a few nights at a hotel. We would love to say that it is priceless because of the unforgettable experiences, but the truth is that we did spend a lot of money to stay at Jade Mountain and it was worth every penny – if we had to do it again we would do nothing different. We would not take the money to buy a house or a car because we cherished every moment and to us that is priceless. To us that is worth every penny. So with that being said, we are hear to explain that the total value and experience of Jade Mountain is better than any resort in St. Lucia, if not the entire Caribbean. Jade Mountain was conceptualized and designed by the famous Russian architect, Nick Troubetzkoy. Mr. Troubetzkoy carefully designed Jade Mountain above the sister resort, Anse Chastanet with explicit detail and an organic philosophy. The resort as a whole is truly a piece of art. There are five categories of sanctuaries, (yes, they are not called rooms or even suites, they are so luxurious that they are called sanctuaries): Sky, Star, Moon, Sun and Galaxy. Jade Mountain and Anse Chastanet are tucked away in St. Lucia on the south-western Caribbean coastline, near the city, Soufriere. It is so secluded built in the mountains that there is no main paved road to get there. The “road” is just a one lane dirt pathway winding a mountain until we reach the property. Every sanctuary has high ceilings of 15ft high and only three walls! Yes, every sanctuary has an open 4th wall that allows the guests to breathe in the fresh Caribbean air 24/7 and have the perfect views of the World Heritage Site of the Petit Piton and Gros Piton. All of the sanctuary categories have their own private infinity pool with the exception of Sky – Sky Sanctuaries have a jacuzzi. The size of the infinity pool varies based upon the sanctuary category, Galaxy being the highest. Besides those details, the layout and size of the sanctuary vary. We can attest to that because they offered us a room upgrade, but we declined the offer because we liked the layout of our sanctuary more than the upgraded one – that says a lot! Each sanctuary and infinity pool were each designed with its own personality using different colored glass tiles. Our Star Sanctuary was a light emerald green. Leading to every Sanctuary are the beautiful bridges that they call, Bridges to Infinity. These “bridges” are essential to the architectural design of the property because it creates an organic flow for guests to follow. Above the Sanctuaries is the Jade Mountain Club where guests dine for breakfast, lunch and dinner. Even the Jade Mountain Club has its own infinity pool looking out to the ocean and Pitons. Hovering the Jade Mountain Club is the highest level called, the Celestial Terrace, where guests can do early morning yoga, private dinners, gaze under the stars, or enjoy cocktails during sunset. Even with all the beautiful architectural designs, Jade Mountain does not lose sight of its surroundings. Everyday we felt like we were on a secluded island because we could always hear the nature around us. Surrounding the bridges, stairs and throughout the property were trees creating shade and providing our senses with that natural, Caribbean feeling. It might have been the clean air, but it was all very refreshing. The entire estate of Jade Mountain and Anse Chastanet is 600 acres and includes not one, but two beaches! Guests can take a private motorboat or walk ten minutes to get to the other beach. The estate also includes some of the best snorkel and scuba diving areas in the entire island and access to the Old French Colonial Plantation and Anse Mamin Valley. Since Jade Mountain is built above Anse Chastanet guests can call for a driver to take them down to the beach or to another restaurant at Anse Chastanet and vice versa. If you think the estate had it all already, you were mistaken. They also have their own farm called, Emerald Farm, and it produces everything from vegetables, micro greens, fruits, spices, nuts, sugar cane, herbs and over 1000 cocoa trees. Every morning the chefs pick their daily produce from Emerald Farm and creates their menu based off of their morning harvest. The cocoa trees provide the cocoa beans that are used in Jade Mountains chocolate lab for their chocolate production. As stated, we stayed in a Star Sanctuary and our glass tile color was light emerald green. We loved our sanctuary and felt connected to it so much that we bought a slab of the tile at the gift shop. It was actually the last one of its color. There was no surplus, everything they have is original and the tiles cannot and will not be recreated. Today it is hung on our wall and when we look at it a rush of honeymoon memories come flowing to us. Our sanctuary was a lot bigger than we anticipated, the only doors in the room were the front door and a closet door. Every room flowed continuously into another until the only thing left was the open air from the balcony. The bedroom continued into the lounge area with the infinity pool and balcony. Even the bathroom connected to the shower, bathtub and eventually the infinity pool. The most interesting part about the sanctuary is that you must be open with your partner because there are no curtains or doors surrounding the bathroom, just a halfway up wall. Needless to say, there were definitely no secrets between us after this honeymoon. The canopy bed was as soft as a cloud and had beautiful curtains surrounding it during the night to keep the bugs out while allowing some cool Caribbean breeze to find its way in. I was always comfortable with the heat, but Adam was a little hot so the staff brought us a fan to keep inside the curtains and it did the trick to keep Adam cool. The infinity pool was always at a perfect temperature and was at least 6 feet deep. It also came with a squirt gun that was to keep any birds away, but of course, we used it to squirt water at each other. To be able to swim in our own private infinity pool with the most beautiful views of the Pitons and Caribbean Ocean was a luxury we will never forget – we seriously felt like a million bucks. From the moment we arrived at the airport till we departed the island, Jade Mountain took care of us from head to toe. We were greeted by a staff member who would not let us lift a finger on our luggage and then introduced us to our butler, Tony, who greeted us with house warming cocktails. Tony helped us get settled in, as in… he unpacked all three of our suitcases! He then quickly went over the property and showed us how to use our personal cell to get a hold of him. Yes, not only did we have our own butler on hand 24/7, but we also had a cellphone to reach him when needed. In fact, one time we went down to the beach and we called Tony to ask if he could bring us sunscreen because we had forgotten it and did not want to get burnt on our first day. He happily obliged and said that it was his best phone call in weeks because he had not been to the beach for weeks! When Tony was off duty we had Christus, and Christus was just as amazing as Tony. When we arrived back to our sanctuary after a day of hiking Gros Piton we had a hot bath full of rose petals waiting for us. It was literally timed perfectly! The moment we entered into our sanctuary the bath was perfectly warm. This was all standard to the staff, but to us it was going way above and beyond. Our turn down service was flawless everyday and included cute towel character surprises. We always had fresh towels and our belongings put away respectfully. Everyone we met was so friendly. When we talked to them they had more energy and enthusiasm about their job than anything we have ever experienced before. One time Adam asked one of our favorite servers if he would ever leave and he responded, “why would he ever leave? I live in paradise!” We could not wrap our minds around how refreshing it was to see so many staff members who loved their job. Making us happy truly made them happy and this high quality of service is why Jade Mountain remains the best. With Christus, our amazing butler! Where to even begin with how amazing the food was?!?! The man behind the success is a James Beard Award winning chef, Allen Susser, who oversees the cuisine at the Jade Mountain Club. He really understands the importance of using local ingredients and bringing out their bold flavors. One evening we were able to meet Chef Allen because he had flown in for a culinary event. He was so inspiring and his personality shines through his culinary creations. It was an honor to meet him. In the direction of Chef Allen’s vision, Jade Mountain Club upholds a high standard of excellence with every dish; creating new flavors and techniques we had never experienced before like eggplant spaghetti with a bolognese sauce. The eggplant literally looked like spaghetti and tasted so delicious we forgot we were not enjoying carbs, but an amazing vegetable. In our five nights at Jade Mountain we were able to dine twice at Jade Mountain Club, once at the Treehouse Restaurant (Anse Chastanet), a candlelit dinner at the beach and a private dinner in our sanctuary. Every dinner was outstanding, but we will never forget our first meal for dinner at the Jade Mountain Club. It really set the tone for the remaining nights, everything was flawless and the food was more delicious than we had ever imagined. Another standout was dinner at the beach. At first we were going to dine at Trou Au Diable Beach Restaurant, but were asked if we would like to have our dinner set on the beach underneath the white canopy. Even among the dozen other couples during the candlelit dinner on the beach, it still felt intimate and romantic. The private dinner in our sanctuary was set up by Mrs. Troubetzkoy herself – what an honor! We had met her on our second day and bonded instantly with her. The private dinner was set up on our dining table and every course was presented by the executive chef with the sommelier pairing wines to every course. Did we mention it was a six course dinner, (seven if you include the amuse bouche)?!?! We felt so special and became best friends with the executive chef and sommelier that night. It was the perfect dinner to end our stay. We would always enjoy breakfast at the Jade Mountain Club unless we had to wake up early for an excursion, if that was the case we would order room service. If we were not enjoying lunch at Jade Mountain Club then we were definitely enjoying it at the beach! Honestly no matter where we ate we always had the most beautiful views, whether we were dining in our sanctuary or the Jade Mountain Club we had the Pitons in our horizon and dinng on the beach we of course saw the endless ocean. Here are a few of our favorite entrees. To read more about the decadent desserts click here. To read more about the luscious chocolate and desserts click here. Jade Mountain provided us with endless activity and excursion options. With everything we experienced we still managed to feel relaxed the entire time – due to the Caribbean air and incredible Jade Mountain service. As part of our package a lot of the activities and excursions were included, but because of our enthusiastic interest, Jade Mountain also included a complimentary trip to their Emerald Farm and Chocolate Lab. On our first morning at Jade Mountain we attended their orientation to discover their property that has 600 acres. The tour took around 45 minutes and helped us make our acquaintances with the staff and property. That same night we also attended a welcome cocktail reception at sunset to meet the senior staff, which included Mrs. Troubetzkoy. The reception served the guests beautiful hors d’oeuvres of prawn shooters, sushi and more, along with red and white wine. Every staff member we met was very friendly and we received a warm welcome. Can you believe we did all of this in 5 nights and still felt relaxed? To read about all of our activities in more detail click here. Jade Mountain had access to two beaches, Anse Chastanet and Anse Mamin. Anse Chastanet was located below Jade Mountain and Anse Chastanet resorts while Anse Mamin was located a little north and guests could either walk on the coastline or take a resort shuttle boat to access it. Anse Chastanet Beach had most of the activities like snorkeling, kayaking, paddle boarding and beach dining. Trou Au Diable Beach Restaurant and Grill are available for guests to dine at or guests can order food from their own cabana. When Adam and I were feeling hungry or thirsty we would place a bamboo stick in the sand and less than a minute later a server would come by our cabana. Drinking Piton beers with coconut fried shrimp and ceviche on the beach was definitely one of our favorite things to enjoy during our stay. Anse Mamin Beach had private cabanas, hammocks and chairs to enjoy the ocean views, as well as the best burgers on the island. Jungle Beach Bar & Grill makes fresh burgers on the grill and are the best burgers on the island. Believe it or not, but the burgers are served with banana ketchup and it is amazing!!! Also located on the beach is the Anse Mamin Valley and Old French Colonial Plantation. When we walked to Anse Mamin Valley it felt like we had walked into Jurassic Park – we never saw a dinosaur, but we did see some wildlife. Adam had the opportunity to collect his sand at both beaches before our departure. As stated in our activities, we loved the privacy and seclusion of everything Jade Mountain had to offer. We always had a private driver, when we ate at Jade Mountain Club there was never more than 8 couples dining at a time, the two beaches and of course our private sanctuary. We felt like we were one of five hundred on the entire island because of the high quality service and exclusivity of Jade Mountain. So, now that we went over the best hospitality experience ever, we will go over the prices or what we consider the value. We did the Total Romance Package during the lowest time of the year, therefore we received their cheapest rates. In addition to that, Jade Mountain had a promotion going on, so we received our 5th night free! Our biggest tip is to always take advantage of free nights. We mentioned Jade Mountain is the best valued resort because even though the prices are high, you get more than you paid for. We actually documented how much every meal would have cost us and it would have been at least $2,000. In addition to the cost of meals and beverages, the activities that were included were either exclusive to Jade Mountain guests or they were less expensive than other companies. We also valued that we never had to worry about anything when it came to booking our activities and excursions. This was our honeymoon and we wanted to be stress free. Lastly, service and hospitality is very importance to us and every penny we spent went towards world class service and hospitality. The cost of staying here varies based upon a lot of factors: packages, promotions, length of stay, time of the season and sanctuary level. As of today (2017), prices can vary anywhere between $6,000 to $30,000 (per couple). We know it is a lot of money to spend for a vacation, but we felt that if we were able to save for it, then we wanted to do it! 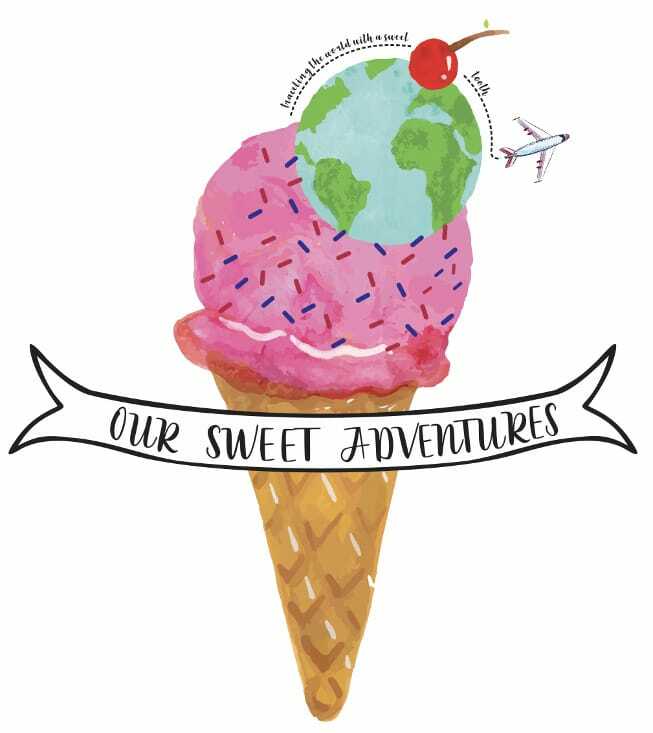 To read about how we save for our big adventures click here. We looked at our honeymoon as a once in a lifetime experience, our one and only honeymoon, the start of our marriage and we wanted to remember it forever with no regrets! Looking back today, we definitely do not regret our decision and if you can make it happen, staying at Jade Mountain will be more than worth it! We hope you enjoyed our review of our honeymoon at Jade Mountain! Really nice work guys, you convinced me I want to go there. Also, loved the photos they were very well done. Looks like you guys had a great stay. This place looks amazing! I especially love that unique resort building, it is so different. I would totally see myself spending my honeymoon here or even just any vacation. Great post! Thank you so much! It was the best resort we have ever stayed in. We hope you get the chance to stay here toon because you will love it! What an amazing experience for both of you. Aside from the scenic view of Jade Mountain and the all the activities you did, what made it even more special was your encounter with the staff too. We know what it is like to work hard and make a guests experience amazing, so we always like to show our appreciation to the staff. We think it is important. When are you going to Saint Lucia?!?! We are about to post all of our favorite activities to do in Saint Lucia. We think you might like it. If you have any questions let us know 🙂 And yes, everything was worth it for this honeymoon! Haha I always joke that the only thing I really care about is the honeymoon – the whole plan-a-wedding thing seems very stressful to me. This looks like an amazing spot! Congrats!!! Wow! This is just too good. I’d love to be pampered like this! Your own private infinity pool??!!! That’s really the heights of luxury! The bed decor looks so romantic! Jade mountain resort looks perfect for a honeymoon or romantic break. The attention to detail they give is incredible. I just need a partner then I can book! Aww you would love it! We talked more into detail of our hike on our post about the activities in Saint Lucia. You should take a look. We think you would enjoy it. What a beautiful honeymoon! Congratulations! I have never been to St. Lucia but I’ve heard wonderful things. I will have to check out this resort if we ever decide to splurge! Jade mountains does seem like a perfect place for some special time. I love the accommodation that you had, absolute luxury that I see. WOuld love some of that spa time too. It was definitely the most luxurious resort!